Ok! I did the big chop in Nov 2013. My hair was TERRIBLE and I was highly embarrassed! I tried everything and nothing worked. 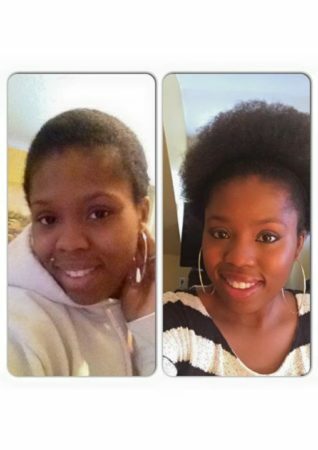 I heard about hairfinity and started taking it Nov 15,2014 it is now Dec and I have a fro! I’m excited and I WILL be buying more!